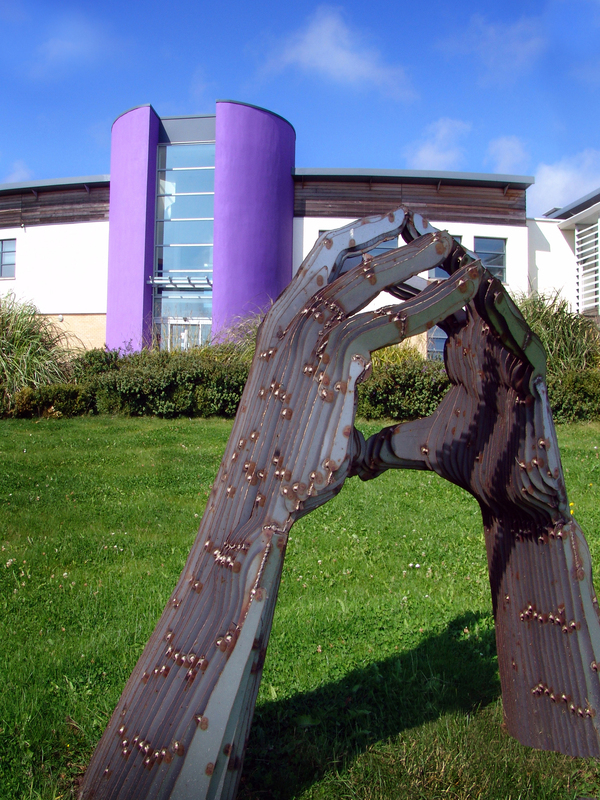 The Venerable Bede Academy was purpose built in 2002, providing exceptional facilities in all department areas. Since then the school has continued to invest in areas such as Physical Education, with the creation of a state of the art Gym, Trampolines, basketball courts etc. There has also been a large investment into ICT, with the Venerable Bede having very robust and up to date facilities. All classrooms have Interactive Whiteboards, digital projectors and computers for staff and students to use. Staff and pupils can sign in to our Virtual Learning Platform ‘Foldr’ which allows access to all files, interactive media, video resources and homework. Pupils are able to access this via any internet enabled device. All Multi-Media videos are available 24/7 via our Video Library system. This allows pupils to watch any of the over 1000 videos that are currently in our expanding Library. Busy, working families can take advantage of our Breakfast Club. We offer daily breakfast to all our pupils in the relaxed atmosphere of Bede’s Bistro. The earliest breakfast is 7.45am. The Venerable Bede Academy has a 660 seat capacity School Hall with a Proscenium stage and professional lighting, sound and data projection systems. This is used for morning worship, school performances and parent’s evenings. There is a purpose built dining hall called Bede’s Bistro. School meals are produced to the highest standard which can be enjoyed in the relaxed atmosphere while watching and listening to the video screens showing during lunch and break times. The Art department has two specially designed Art rooms both fully equipped with Interactive Whiteboards, Digital Projector, Audio/Visual equipment and Computers. Digital Cameras and Video Cameras are available for pupils to use within lessons. The Venerable Bede Schools English department classrooms all have Interactive Whiteboards, Digital Projector and Audio/Visual equipment. The department also has access to a fully equipped ICT suite with the latest computers and software available. IPads, Digital Cameras and Video Cameras are used by the department within lessons. The Geography department has access to ICT rooms, Digital Cameras, Video Cameras and iPads to engage pupils in learning. Students are able to create videos, documents etc. from the iPads and save them straight into their networked folder which can then be accessed via any computer within the school or at home. The department also has computers in each classroom for pupils to use during lessons. The History department has a fully equipped ICT suite boasting the latest computers, Interactive Whiteboard, Digital Projector, and iPads. Specific Apps have been purchased for the department and iPads are now part of an everyday lesson within the department. The department also has computers in each classroom for pupils to use during lessons. The Venerable Bede Church of England Academy has Nine purpose-designed ICT suites which are all fully networked with the latest specification computers, Interactive Whiteboards, Digital Projectors and Audio Visual facilities. All of the ICT suites have the latest specification computers and software installed from the latest Microsoft Office suite to Dreamweaver and Photoshop. The ICT suites all have Printers, Digital Cameras and Scanners to assist pupils in their lessons. All pupils study languages in specialist language rooms which are all equipped with Interactive Whiteboards, Digital Projector and Audio/Visual equipment. The Modern Foreign Languages have the use of a fully equipped ICT suite with the latest computers and software. IPads are also used within the department and there are various Apps for pupils to use. Computers are available in each of these classrooms for pupils to use within lessons. The Music department boasts a fully equipped music room with Interactive Whiteboard, Digital Projector and Audio/Visual equipment. Students have access to a full suite of Electronic Keyboards, a recording studio with state of the art recording equipment. Apple iMacs and iPads are available for pupils to use within lessons and Apps have been purchased such as Garage Band to enable pupils to work independently within lessons. There are also four purpose-built practice rooms, with drums, keyboards, guitars and other musical instruments available. The Physical Education department has access to an extensive array of resources from indoor facilities to outdoor Football playing fields, Rugby pitches, Netball, Basketball, Tennis courts, Cricket areas and Athletic tracks. The indoor facilities are second to none, which comprise of an extensively equipped Gymnasium featuring full-sized Trampolines, Netball, Basketball, football and gymnastic equipment The school also has a fully equipped fitness studio with Running machines, Exercise Bikes, cardiovascular equipment and other Fitness equipment. The RE Department consists of 3 full-time specialist RE teachers. There are three dedicated RE classrooms all with colourful displays of keywords, level descriptors and pupils’ work. One of the classrooms is an ICT-suite where pupils regularly use the latest programmes to aid their learning (including Wallwisher, Animoto and Prezi). There are six specially designed Science Laboratory all with Interactive Whiteboard, Digital Projector and Audio Visual equipment. Each Science laboratory has access to scientific equipment and has computers available for pupils to use within lessons. There is also a Science ICT suite that has the latest computers and science software available for pupils to use within lessons. Exam laboratory also has computers for pupils to use during lessons which are equipped with digital microscopes. The Technology department has two purpose-designed ICT suites which incorporate the latest in graphic design, CAD/CAM and other technology related software packages. The department also boasts a fully equipment Food Technology area, Industry Standard equipment Textiles rooms and specialized workshops incorporating CAD/CAM machines, hand tools and other equipment.